We’re mid way through Ramadhan which means that Syawal is nearing. For many, this means readying one’s homes to host guests, planning our out-of-town travels to visit relatives and friends or just for a short respite from the hussle and bussle of city life and of course, finding the right outfit (or outfits) to wear for all those Raya open houses (can’t wait to feast!). In the spirit of Ramadhan and Syawal, Boost is jumping in on the festivity bandwagon with Ramadhan promotions available at various major Boost merchants! Boost is a leading e-wallet application with over 2.4 million users to date with online and offline merchants located in over 16,000 touchpoints. Boost aims to revolutionize the way Malaysian consumers transact by creating a seamless payment experience without cash or cards through scanning QR codes. Here’s a short video on how you can #BoostIt. So, in case you were wondering how you could use this one-of-a-kind app, here are 5 ways you can #BoostIt this Ramadhan (promise it’s worth it!). The street bazaars are back in town, signalling the return of Ramadhan favourites like ayam percik, seri muka & nasi briyani. 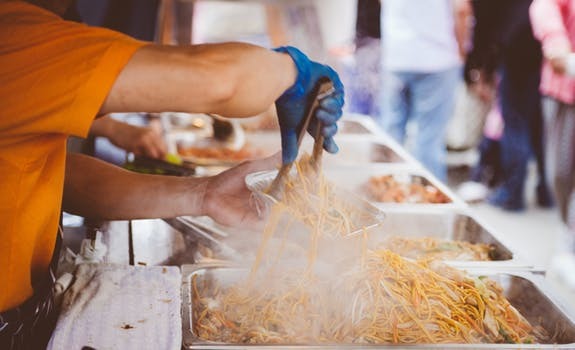 The good news is bazaar goers will no longer need to go through the hassle of rummaging in their pockets for cash when they pay for their delicacies. Why you may ask? With just one simple app, you will be able experience the convenience of going cashless and cardless while making your purchases! 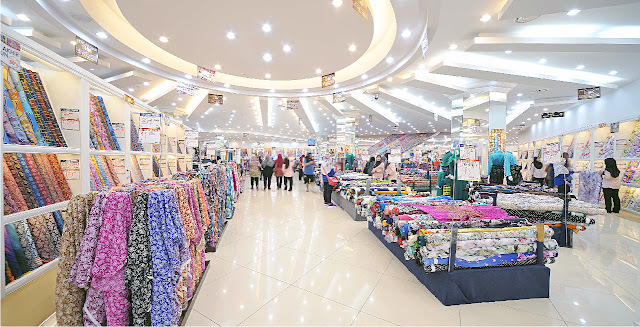 The participating Ramadhan bazaars going full on with Boost include those located at Jalan Tuanku Abdul Rahman, Bangsar and Kelana Jaya to name a few. Users of Boost will also be able to enjoy the benefits of going cashless at our favourite buka puasa restaurants like Delicious, Nando’s, Absolute Thai, The Chicken Rice Shop and so much more. Bonus! Paying with Boost is more rewarding as you will receive cash back at the participating merchant outlets mentioned above. All this food talk got us feeling hungry! With Raya less than a month away, it’s time for a frantic shopping frenzy in between iftars and family gatherings. More often than not, we get carried away in the shopping craze and forget about our budget that we painstakingly drew up before Ramadhan to ensure that we wouldn’t break the bank with our spending (You know how some say never to shop hungry? Totally applicable here you guys). Fret not, because with Boost you will be able to shop for your Raya essentials at a bargain all while remaining fashionable! Enjoy cashbacks across several Boost online merchants including 11Street, Zalora and Fashion Valet. For those of you who prefer to “jahit” your own baju Raya, we got you covered as Jakel has some ongoing promotions when you use Boost which you wouldn’t wanna miss! With travelling comes hassle especially with making sure you have enough money. But what if we told you that we have the answer to your vacation worries void of carrying cash and searching for ATMs when you’re totally outta moolah? Thanks to Boost’s recent partnership with Malaysian Airport Holdings Berhad (MAHB), customers can pay using Boost at KLIA1 and KLIA2 in various retail and F&B outlets. That’s not all - if you’re planning your balik kampung drive this Hari Raya, don’t forget to drop by PLUS Ayer Keroh R&R and use your Boost app there for some attractive deals! Ramadan is known as the month of generosity. This Ramadhan, Boost wants you to remember the less fortunate and give them what they deserve. Everytime you scan & pay at both offline & online merchants, Boost users will be given the option to donate your cashback reward to one of various charities listed in the app which include Pusat Jagaan Warga Emas Sentul East, Pertubuhan Kebajikan Chester Selangor, Pusat Jagaan Sri Mesra and Tasputra Perkim. Now isn’t that heartwarming? Shop and do good people! 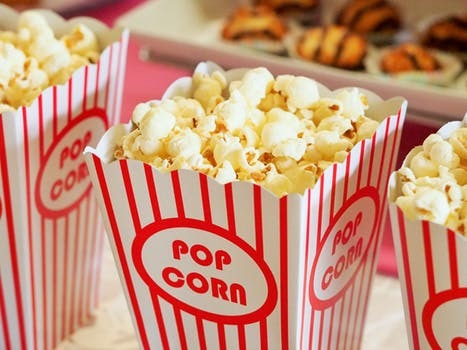 After all the good that you’ve done by giving back and saving money where possible, don’t forget to reward yourself with some good old entertainment at the movies! This is made even better when your movie ticket could potentially become a flight ticket (say what?!). Boost & MBO are giving you the chance to win tickets to go on 4 days, 3 nights international vacation! I don’t know about you, but I’m buying my movie ticket with Boost right now! If we haven’t already caught your attention on the amazing-ness that is Boost, we strongly urge you to download the app to be rewarded this Ramadhan!